Some of you might recall my discovery and subsequent acquisition of a certain rare dottyback species, the Rose Island Dottyback (Pseudoplesiops rosae), a couple of weeks ago. The fish was brought in by one of my favorite local fish stores, Fish Gallery (who sent us the beautiful image above), and I couldn’t resist taking it home. After all, it’s not a common fish by any means and I needed something really unique to spruce up my aquarium. The extraordinarily shy fish hid the first ten days after being introduced into the aquarium, so it was hard to get a good look at it. Fortunately, I was able to coax it out into the open a little more each day with various fish foods, but the more I looked at it the more I began to question its identity. The idea cointinued to weigh on me, so I reached out to two very “in the know” individuals who have experience with this species, and as it turns out, my suspicions were correct. This fish wasn’t a Rose Island dottyback. 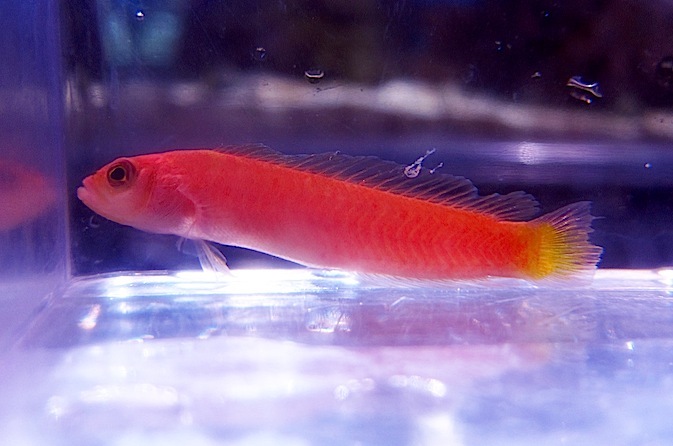 The first person I contacted about the dottyback’s identity is a well-connected hobbyist who recently got his hands on a pair of P. rosae dottybacks of his own. He and I exchanged a few emails, and we both came to the agreement that the fish was a different species altogether. And while we had a likely candidate picked out, we were both somewhat uncertain, so I had to keep digging. That’s when I stumbled across an article on Reef Builders by a fellow blogger by the name of “Tea” Yi Kai. 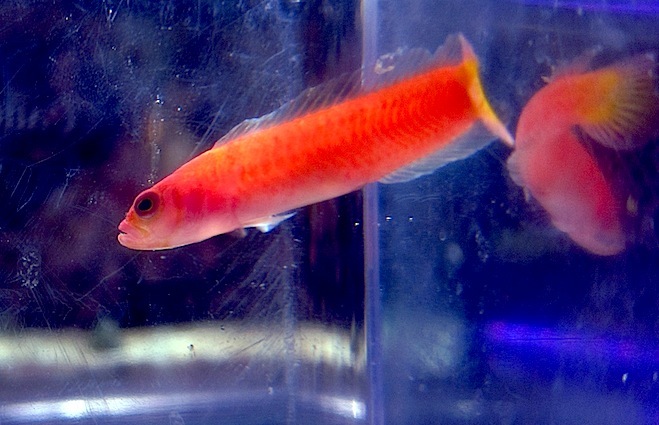 Yi had written a piece showcasing the aquarium of Jimmy Ma, which happens to be full of rare dottyback species including both the Rose Island dottyback and the fish I was beginning to suspect mine was, the Fine-scale dottyback (Lubbockichthys multisquamatus). After sending some images to Yi, his response was that the fish in my possession was in fact a L. multisquamatus dottback. Fortunately, the misidentification actually works out really well for me. The Fine-scale Dottyback is slightly rarer than its Rose Island counterpart, which not only means the fish is still unique, but it also means that I didn’t waste a bunch of money on a misidentified, more common fish. So how did this ID get messed up? Well, we can’t and shouldn’t blame the fish store. 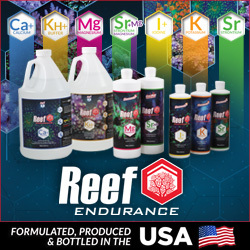 The fish showed up on a stock list from their wholesale supplier as a Rose Island Dottyback, and since most fish are ordred sight unseen, the store has to rely heavily on the accurracy of that supplier. To make the problem even worse, there are so few images online for either dottyback species, which gives both the fish store and the supplier a much tougher job. Regardless of the misidentification, I am very happy with the purchase. I would still love to get my hands on a pair of the Rose Island dottys if they show up somwhere, but for now I will stick with the one I’ve got.